Every horse and rider combination is unique. Whether you choose to train with Courtney or have Courtney train your horse, you are assured that the well being of the horse will always come first. She has a proficiency in building trust with the horse very early on. This benefits the training as well as the horse's confidence. From years of experience, Courtney is able to truly "feel" the horse. Basics are built upon a strong foundation based on balance, suppleness and confidence which is of paramount importance to you and your equine partner. 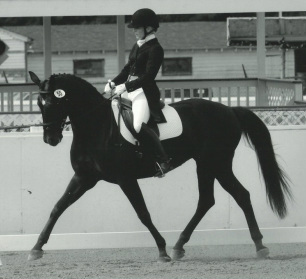 Thus, our foundation creates harmony and trust between horse and rider throughout all levels of dressage. Courtney can create a custom program to fit each horse and rider's needs. Whether an amateur wanting to learn for the enjoyment of pleasure riding or those with aspirations of getting into the show ring, please contact Courtney to discuss the training program that is best for you. Henk van Bergen - in 1998 was appointed Dutch National Trainer. 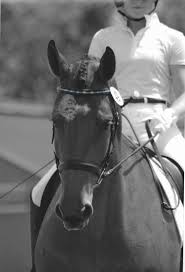 Henk has coached various Olympic Dressage teams and helped his team to win the silver medal at the Barcelona Olympics. won the CDI4 Grand Prix Freestyle at Wellington among other accomplishments so far this season.